If your home is missing that warm cozy feeling during the winter months, leasing a furnace might be the perfect solution. Enersure provides Energy Star Qualified Furnace Rental Services to customers throughout Brantford, Ontario and the surrounding area. One of the main pros of owning your own appliances, like furnaces and tankless water heaters, is that the value of your home automatically increases as it can be passed on to a new owner without having to transfer a lease agreement. On the downside, you’re the one responsible for maintenance, servicing & repairs, which can end up costing you a lot of money – especially if not done properly or ignored. Don’t you just hate those unplanned expenses? On the other hand, renting a new furnace is simple. Leasing from Enersure is a hassle-free and very convenient option for homeowners who don’t want to worry about any upfront payments and ongoing maintenance costs, but also expensive repair service calls or equipment replacements. 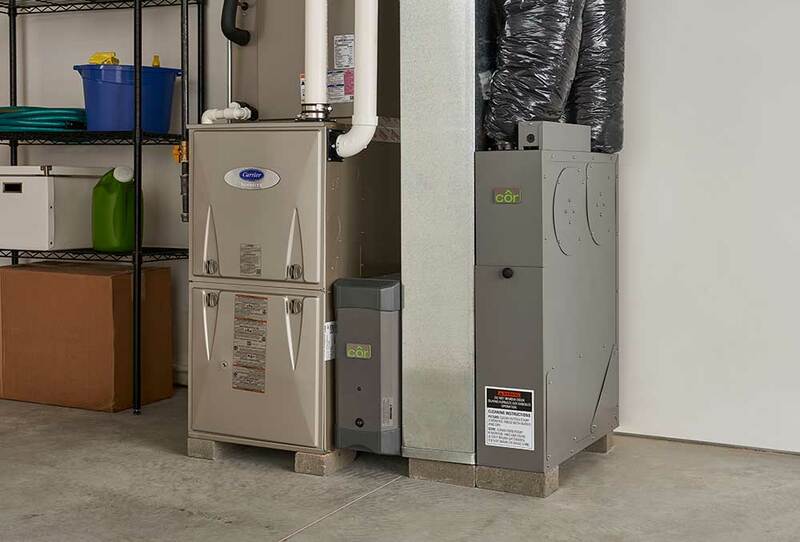 Leasing a furnace is an excellent option because you can be sure that you’re covered 24/7 when it comes to those pesky repair service calls, but also because the furnace actually belongs to the rental company, meaning it is in their best interest to have the furnace be as clean and as well maintained as possible. If for some reason you decide leasing isn’t for you, the furnace can be purchased at any time with no penalty and no aggravating service charges. How Much Does It Cost To Rent A Furnace In Brantford? The price of furnace rental depends on multiple factors such as the size of your house, type of furnace that fits your needs and a few other factors. Enersure’s furnace leases start at only $49 per month. To learn more about furnace rental prices and to get a quote on leasing your new furnace, please contact us today! Upgrade your current inefficient system with a lease from Enersure. What you’ll save on operating a newer, more energy efficient unit will help to offset your lease payment, and best of all, when you lease you’re completely covered, 24 hours a day, 7 days a week. Worry-free, hassle-free leasing, with no money upfront, and no need to budget for costly service calls again… It just makes sense! A qualified Enersure professional can visit your home, at your convenience, to ensure you lease the most suitable system for your home’s square footage. To schedule a free consultation, please click here!